Yes, but what about socializing the kids? Can you do that in a home school? What about Creation vs. Evolution? How to handle American History? Teaching Music: What's the best way? How do make sure your kids are keeping up? What about math? Science? Can you do that at home? Should I register with my kids with the local Public School? What happens if I get discouraged midway through the year? How about Catholic feast days and crafts? Shouldn’t we put our kids in regular schools so they can learn to survive in the real world? Let’s talk homeschooling for a moment. The present writer is not just an enthusiastic advocate, but has been educating his children at home for the past twelve years. I’m a home school dad, with five daughters and two sons. And with Baby Michael starting kindergarten next year, my wife and I intend to be homeschooling for the next 12 years, as well. We wouldn’t have it any other way, in fact, even though when we were first married, the last thing we imagined ourselves doing was educating our children at home. In truth, we have come to love and cherish homeschooling and we thank God for the opportunity to let the modern world go its way while our family does what all families did for a millennium or two, before the world went mad. My daughters dress just like their mothers and grandmothers did decades ago. No tight jeans, no black t-shirts, no sullen look in the eyes. Not judging or hating anyone. But no Miley Cyrus, no Lady Gaga; loving their siblings, their parents, God and all the people in the whole world. My sons love to hunt and ski and camp together. I tell them the stories my father told me. We enjoy the same music, movies and books—just like fathers and sons always did, again, before the world went mad. These are not special kids, they’re no angels. They’re just homeschooled, so they’re not doing drugs or cutting themselves or worshiping Satan, piercing their noses, tatting their backsides, or hating their families. They love life and are encouraged to be as imaginative as God created them to be, since they do not suffer the cookie-cutter educational torture of modern classroom education. When it comes to the history of education, by the way, the classroom is the novelty—not the home-school, which dates back to the Garden of Eden. Everyone from Abel, to Moses, to St. John the Baptist, to the twelve apostles, St. Anselm, George Washington, Beatrix Potter, Thomas Edison, Wolfgang Amadeus Mozart, Theodore (and Franklin) Roosevelt, Tim Tebow, Emma Watson, Abraham Lincoln, George Bernard Shaw, Charles Dickens, Andrew Carnegie, Louis Armstrong, Davy Crockett, Benjamin Franklin, General George S. Patton, Justice Sandra Day O’Connor, Florence Nightingale and millions upon millions of ordinary people, saints, sinners, doctors of the Church, martyrs, presidents and kings were homeschooled. In fact, the only society in history that looks down its nose at homeschooling is the one that has also legalized no fault divorce, the mass murder of babies in the womb, and homosexual marriage. So, make of that what you will. 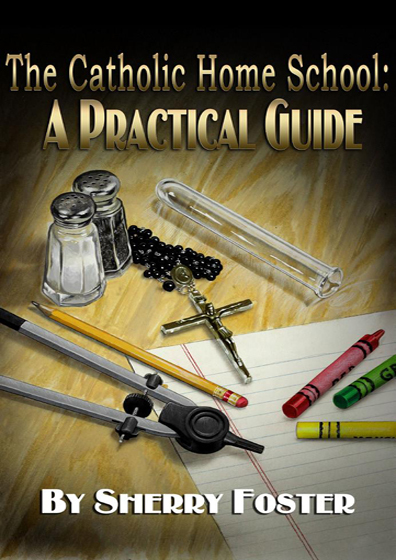 To read the rest of Michael Matt's Foreword order your copy of 'The Catholic Homeschool' today!